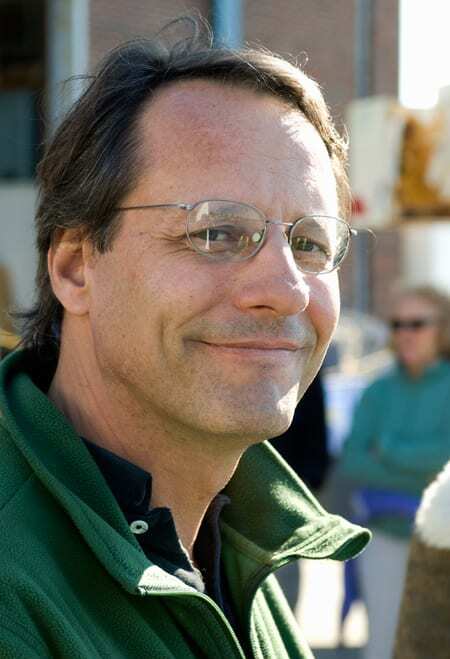 Andy Bowen has been developing robotic deep-sea technology for many years, starting his career at Woods Hole Oceanographic Institution in the 1980s by working on Jason Jr., the small tethered vehicle that explored Titanic. He helped evolve that technology into the larger Jason vehicle and most recently led efforts to develop a new vehicle called Nereus, which uses new technology in the cable that links it to a ship. Oceanus: What is the purpose of the tether cable between the ship at the surface and Nereus in the depths? It’s not just a leash to keep it from straying. Bowen: Transmitting large amounts of information through the air is relatively straightforward. On land, we all enjoy digital signals, either to our cell phones, or our laptops, or televisions. But the ocean is essentially opaque to the transmission of high-bandwidth information, so for the time being, you have to have a physical connection to the vehicle. In the case of Nereus, we’re doing that with a glass fiber very similar to the glass fibers in telecommunications cables. Through that fiber, we can transmit video signals and data from sensors up from Nereus, and then we send commands down to Nereus to “turn left,” “go up,” “move your arm,” “pick up this object”—those types of things. Oceanus: Why couldn’t you use the same type of cable on Nereus that you traditionally have used for remotely operated vehicles, or ROVs? Bowen: Traditional tethers used on ROVs are large in diameter and heavy. In the case of our ROV Jason, the cable is about 5/8 of an inch or 17 millimeters in diameter. In its core, it has copper wire to transmit power and fiber to transmit digital information. On the outside of that, it has three layers of steel to provide it with the necessary strength to insure that we can actually pull Jason back up. Oceanus: How is Nereus different? 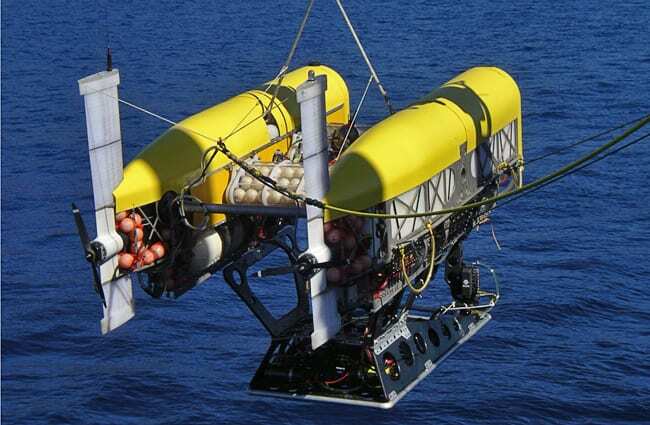 Bowen: Because Nereus is essentially an autonomous underwater vehicle (AUV), which means it has its own batteries onboard to provide power, and it can swim back to the ship on its own. So we can dispense with the copper for power and the steel for strength, and use only a light optical fiber cable to allow bi-directional passage of information to and from the vehicle. By using this very slender fiber instead of a large cable, we’re able to decrease the size, weight, complexity and ultimately the cost of the vehicle. Oceanus: What is Nereus’s tether made of? 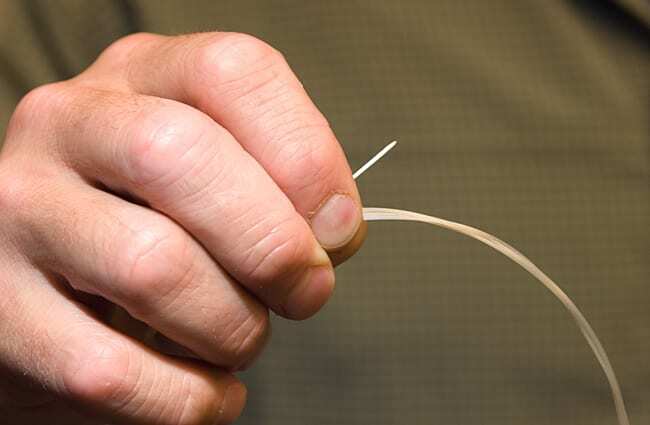 Bowen: At its core, it’s a specially designed glass fiber—very similar to the ones we use to send Internet signals from one place to another on land—that allows the transmission of digital information. Outside the glass fiber is a very thin layer of plastic that protects the fiber from contact with seawater or air. All of that is about the diameter of a human hair. Oceanus: Thin as a hair! Why doesn’t it break? Bowen: To look at it, you’d have to think you were out of your mind to try and tether a vehicle to a surface ship using such a tiny fiber. It has a breaking strength of only 8 pounds, and we’re using that to connect a vehicle that weighs several tons to a ship that weighs several more tons. So how do you do that? Well it’s a little bit difficult to explain, but if you’ve walked out in your garden and seen a caterpillar hanging from a large tree, and wondered, “Gee, how can that tiny thread support a caterpillar that might break that thread under its own weight?”—that’s to a certain degree similar to what we’re doing with Nereus. Instead of a long, high-strength cable in the ocean that feels the strain of water moving past it, Nereus’s fiber is so light-weight, it’s almost neutral in seawater. So it doesn’t have to hold itself up in the water. It actually moves with the water. And as it moves with the water, depending on the tensions that exist as the water moves past the ship and the vehicle, we slowly pay out fiber from two storage canisters—one near the vehicle itself, and one near the surface. Oceanus: How big are the canisters and how much fiber is spooled in each? Bowen: The canisters are about the size of a large coffee can. We can place 20 kilometers, or about 12.5 miles, of fiber in each canister. On any single dive, we’re not likely to use anything close to 25 miles of fiber, though. Oceanus: You mentioned that the micro-fiber tether reduces costs. How? Bowen: It gives us the ability to shrink everything down. So, for example, instead of a huge winch onboard the research vessel, we can use a very modest winch. We could have traded the steel reinforcement in the traditional cable for something like Kevlar, which is much lighter. But that has a downside in that it makes the cable even larger in diameter. It would have required a huge winch to handle it—an expensive winch that only fits on certain ships, and is very expensive to ship around the world. All of that goes away with a small-diameter cable, leaving us basically with the problem of ensuring that the fiber is capable of withstanding the loads placed on it by the ocean currents. All of our modeling and the field trials rather amazingly confirmed that this type of a tethering technique is practical.